We recently returned from a weekend getaway to King and Prince Resort. 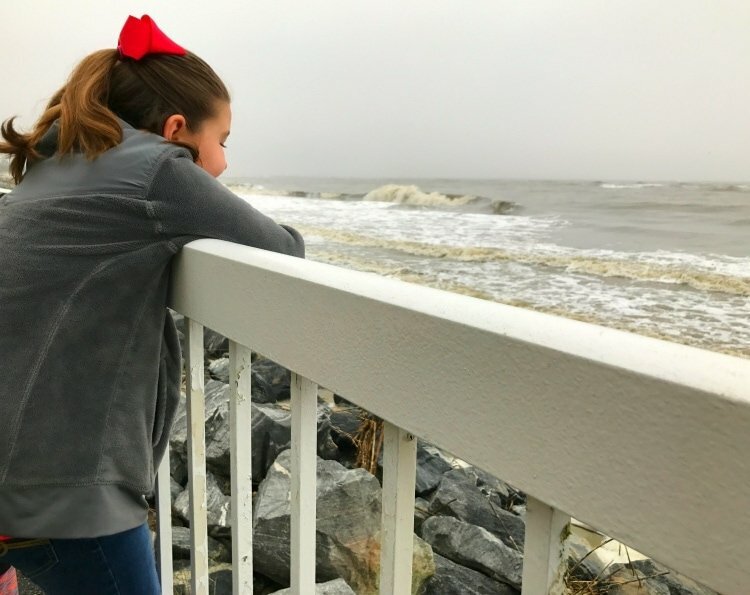 With just a short five hour drive from Atlanta, there is no question why King and Prince Resort makes any getaway to Saint Simons Island a great option for families. 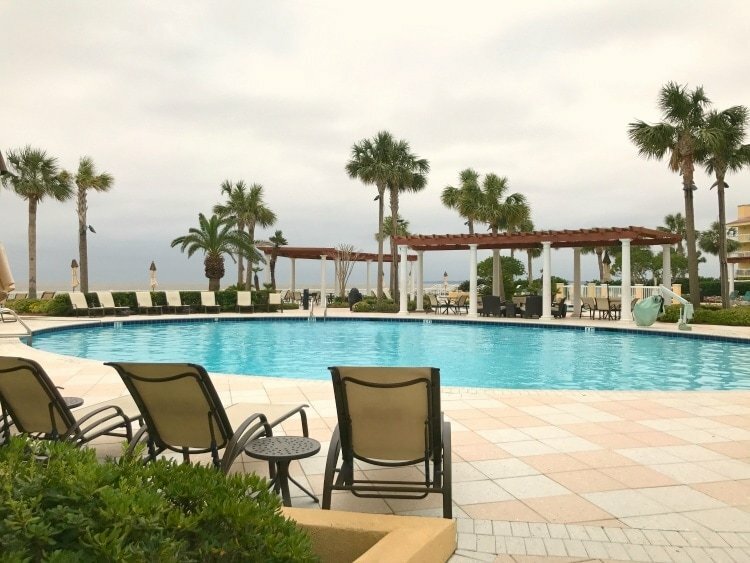 Located on the southeastern shore of Saint Simons Island, King and Prince Resort offers a relaxing atmosphere that manages to be posh while still offering a feel of a place where you can kick back and relax without any pretense. I was provided complimentary accommodations to help facilitate this review. All opinions are of course my own. Although it began as an oceanfront retreat and seaside dance club in 1935, its seaside location prompted the government to convert it to a naval coast-watching and training facility throughout World War II. 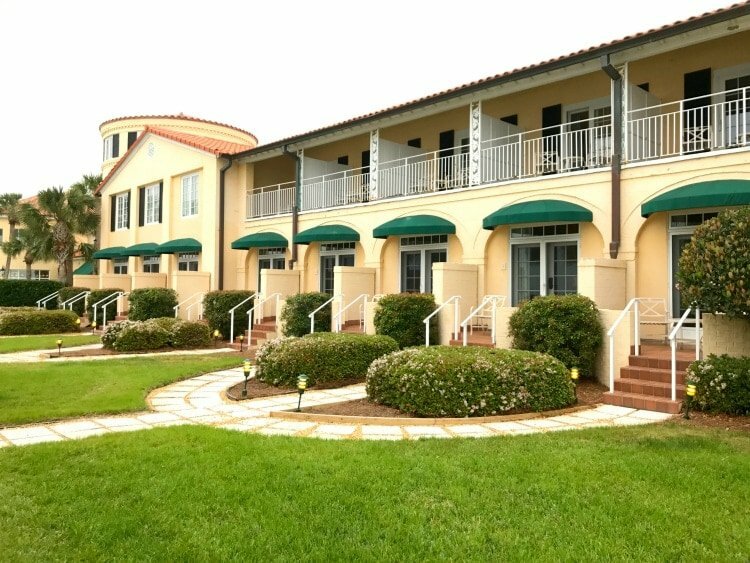 In 1947, it was reopened to the public, and since then, it’s provided luxurious accommodations to visitors of Saint Simons Island. From the moment you step onto the grounds of King and Prince Resort to the moment you leave, beauty is all around you. The buildings are a beautiful, stucco exterior with a terracotta-style roofing and curving lines. The resort is surrounded by an abundance of landscaped palms. 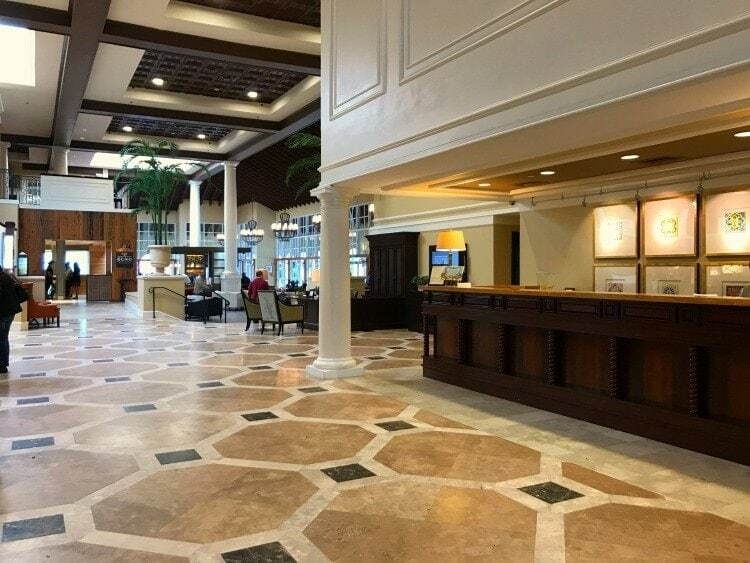 The beautifully manicured grounds welcome you in from the start, and the lobby continues to draw you in, offering comfort for the coming trip. Natural light streams in through the large window and reflects off the beautiful polished flooring. 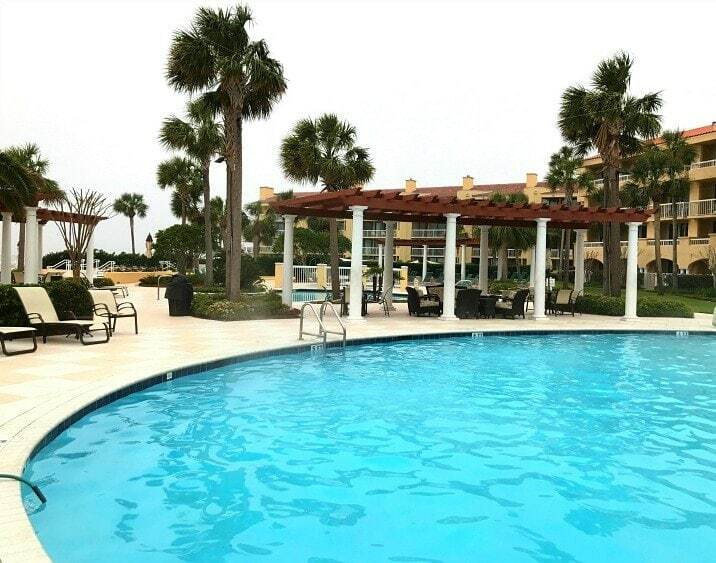 The grounds and amenities are just as wonderful as the resort. Unfortunately, we didn’t have a chance to enjoy any pool time because it was still just a tad bit too cool for us given it was March. However, the pools offer amazing views of the surrounding island as well as plenty of shade with their large umbrellas and comfy chairs for those who want to get out of the sun. There are lounging areas as well, for those who want to enjoy the outdoors without putting on a swimsuit. They even have tennis and golfing for those who like to stay active while they vacation. The main building offers beautifully appointed rooms, but my husband and I opted to stay at one of the resort’s spacious villas. Between us and our two girls, the extra space was both welcoming and needed. Although the kitchen and bathroom felt a little outdated, overall the villa was just as lovely as the main resort, and the extra space afforded to our family more than made up for it. We spent a good bit of our time hanging out in the beach inspired living room overlooking the gorgeous views from our balcony. 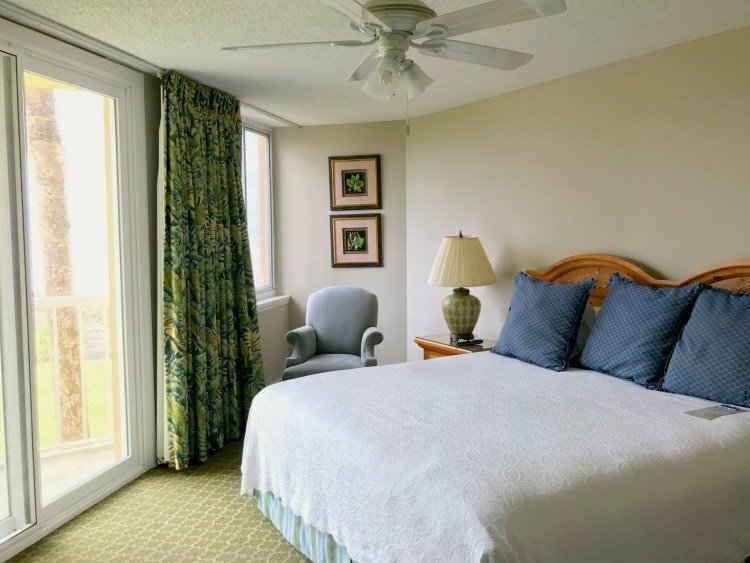 Overall, our villa was an excellent place to unwind and get a wonderful night’s sleep after exploring Saint Simon’s Island, and I would still recommend one for larger families staying at the resort. Echo’s main selling point for me is being the only seaside restaurant on the island. It also manages to be a place that is perfect for both family and couple’s dining. 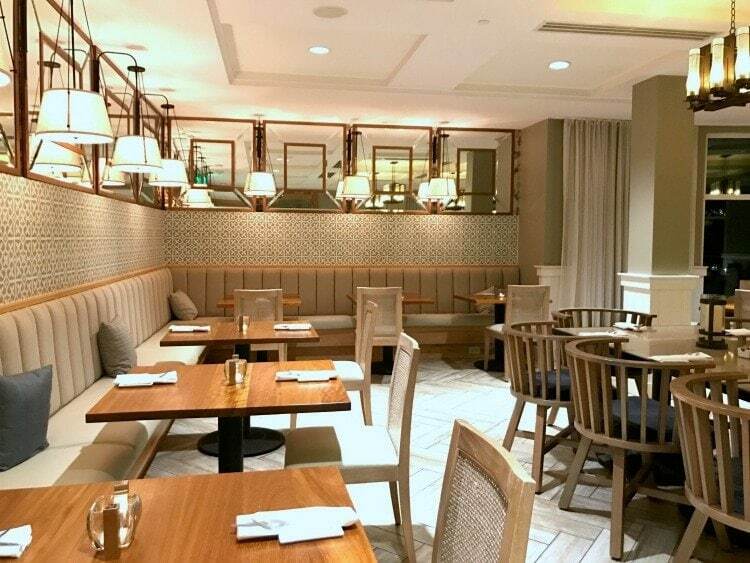 The lighting and decor offer a feel that is both casual and romantic at the same time, depending on your company. Our family loved being able to dine in pure comfort without having to worry about proper “fine dining” etiquette. At the same time, I saw a few couples dining in corners, quietly laughing with their heads together. 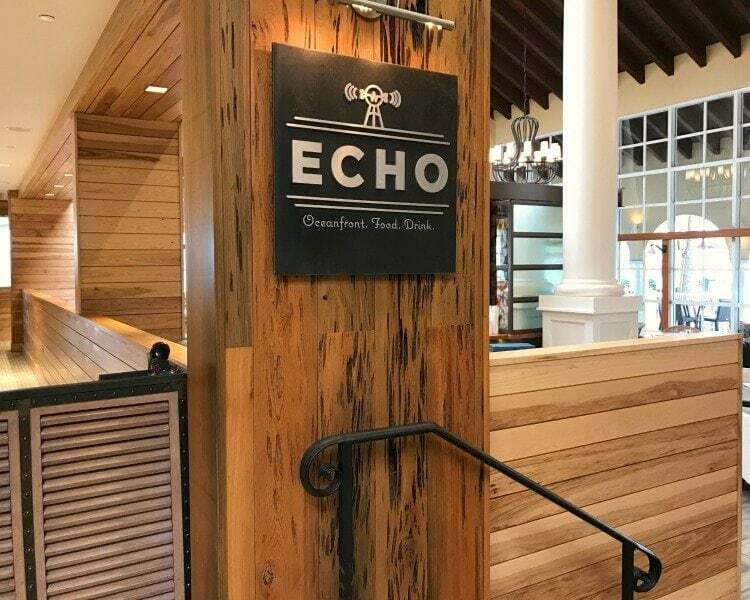 The food you’ll find at Echo is mainly of the seafood variety, with items like cast iron seared tuna and, crab cakes, and other seafood favorites. For those who aren’t so into the sea’s bounty, Echo also offers classic options like bacon and eggs for breakfast, or burgers and steak for dinner. So there really is something for everyone. 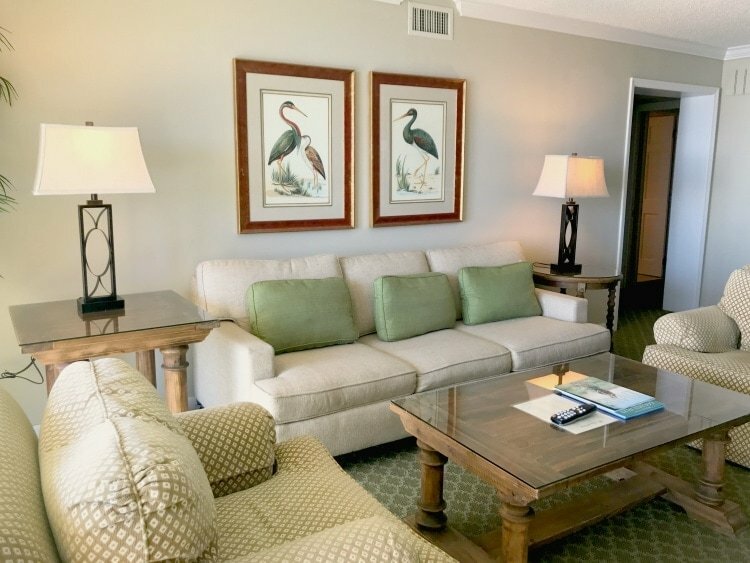 With its prime ocean side location, comfy accommodations, and a variety of dining options at their on-site restaurant, King and Prince offers a great option for families or couples visiting Saint Simons Island. Disclosure: The King and Prince Beach and Golf Resort provided complimentary accommodations for my family to review. All thoughts and opinions are my own.